First, these are two fine Stanley tools, near-contemporaries that were designed and intended to be used together. The No. 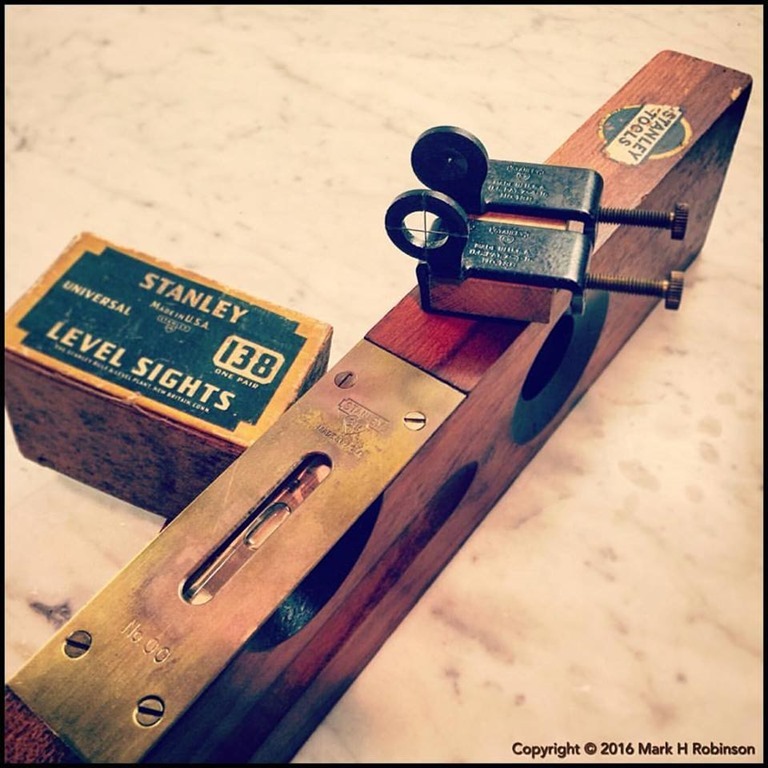 00 level features beautiful cherry wood and brass, is in nearly new condition, and we can date it to 1921-1922 from its type 2 ‘Sweetheart’ logo. Accompanying the level are a set of No. 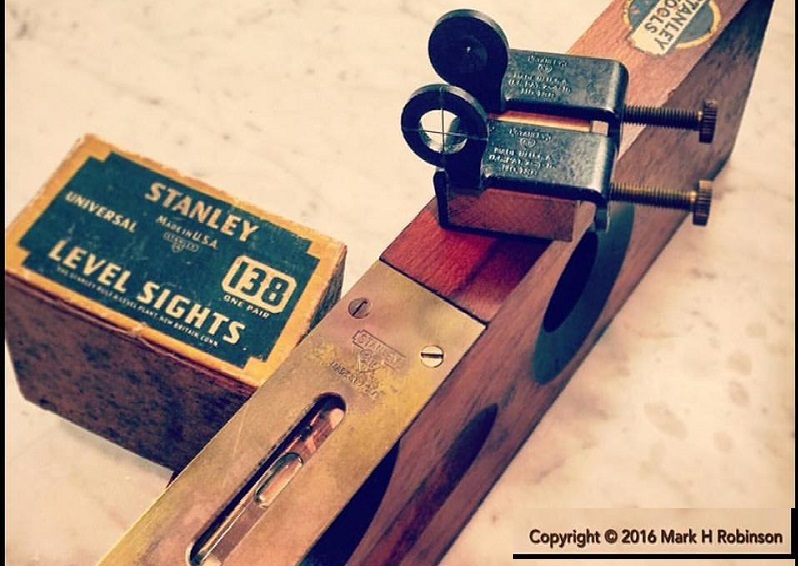 138 level sights, made from black japanned brass, accompanied by their original box (which is in quite good shape, for its age), and dating from between 1923-1935 based on the type 3 ‘Sweetheart’ logo on both box and sights. Second, it’s a tribute to my very good friend Dan @thedancherry, who posted a very similar photo yesterday featuring Stanley tools just a few years older. Dan is an extraordinarily knowledgeable person, a leading collector of measuring devices and fountain pens, and a generous and caring person – if you don’t already follow him and you share any of these interests, you’re missing out! Finally, it’s an entry for a great new IG account @stanley_tool_heritage, run by Andy (who both Dan and I are fortunate to count as a friend). This IG account was born out of the frustration that many of us feel regarding Stanley’s willful neglect of its extraordinary heritage, and Andy was brave enough to step up to the challenge. 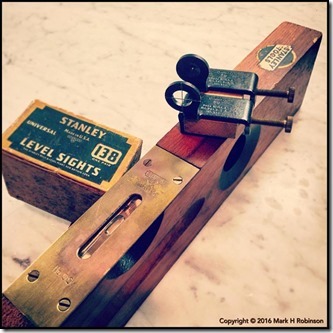 If you have even a passing interest in the amazing and beautiful tools that this once great company made in the glory years, please go follow @stanley_tool_heritage immediately – and if you ever post old Stanley tools on your own feed, tag them with‪#‎stanleytoolheritage‬ and maybe your post will get featured there!